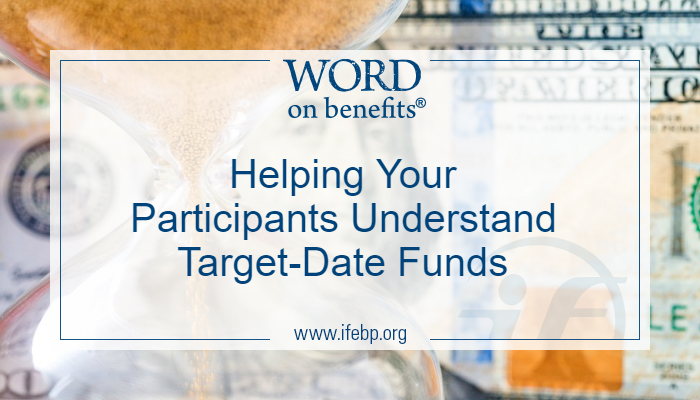 Target-date funds (TDFs) have become an increasingly popular investment option for defined contribution (DC) plan participants. But do participants really understand how they work, and are they using them correctly? Those are among the questions that Deb Rosenberg, CEBS, suggests DC plan sponsors should be asking to ensure plan participants are on the road to optimal retirement outcomes. 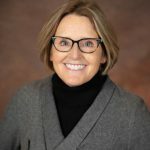 In her article “TDFs: Help Plan Participants Hit the Mark” in the April issue of Benefits Magazine, Rosenberg, director of retirement plan consulting at Stiles Financial Services Inc. in the greater Minneapolis-St. Paul, Minnesota area, discusses the popularity of TDFs and explains some of the pitfalls that TDF investors fall into. TDFs are mutual funds that invest in a mix of assets that is automatically reset at specific times as the target date approaches. TDF investments gravitate to less volatile options as the participant grows older, without requiring participant action. Investors typically choose a fund with a target date that is near their planned retirement year. TDFs now account for more than $1 trillion in retirement plan investments, and they are the most commonly used qualified default investment alternative (QDIA) across all plan sizes. TDFs are structured to be a one-stop shop for participants based on their age and years until retirement, so participants who select them or default into them typically should not be investing in any other fund. Yet a T. Rowe Price survey showed that 22% of participants have only a partial balance in a TDF. Research by Alight has noted that only 9% of participants understand that a TDF is designed to be a single investment, and the authors of the study note that partial TDF users had a 2.11% lower return than participants who used a single TDF. Some plan participants also may invest in TDFs that are too aggressive or too conservative for their age. Rosenberg notes that the Department of Labor (DOL) requires plan sponsors to develop effective communications to help participants understand TDFs. The February 2013 DOL report Target Date Retirement Funds–Tips for ERISA Plan Fiduciaries provides a road map for plan oversight committees and investment advisors to follow in the selection and ongoing oversight of TDF offerings. Rosenberg suggests the following actions plan sponsors can take to make sure their TDF fund families fit the needs of participants and to help them achieve the best outcomes. Establish a process for comparing and selecting TDFs and for periodic review. Decision makers need to understand asset class allocations and how they change over time (the glide path), passive vs. active investing, use of proprietary funds and more. How many participants have money in multiple TDFs or both TDFs and individual funds offered in the plan. Individual messages targeting those who may be investing incorrectly.